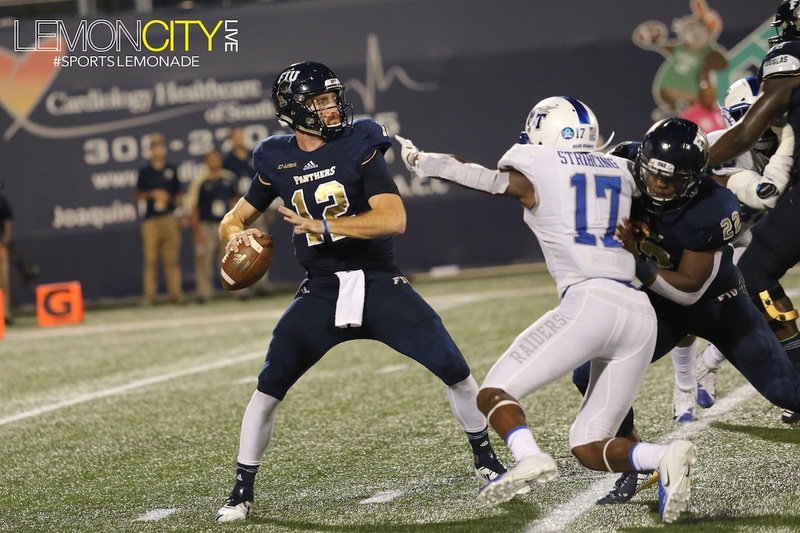 The FIU Panthers won a thriller at The Cage Saturday Night, edging out the Middle Tennessee Blue Raiders 24-21 on a clutch interception by defensive back Olin Cushion III in the end zone. 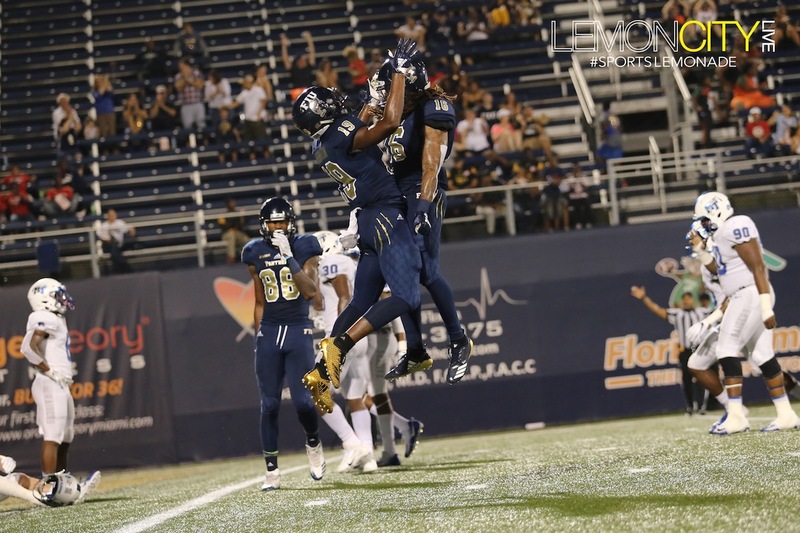 After crushing Arkansas-Pine Bluff, Florida International returned to the field after their week 6 bye to host C-USA foe Middle Tennessee with first place in the East division up for grabs. It proved nothing less than a dogfight as both teams took turns taking the lead. The Panthers struck first with a 44-yard field goal by Jose Borregales, aka “FIFA” as he declared at the post-game press conference. FIFA was in for a busy night. 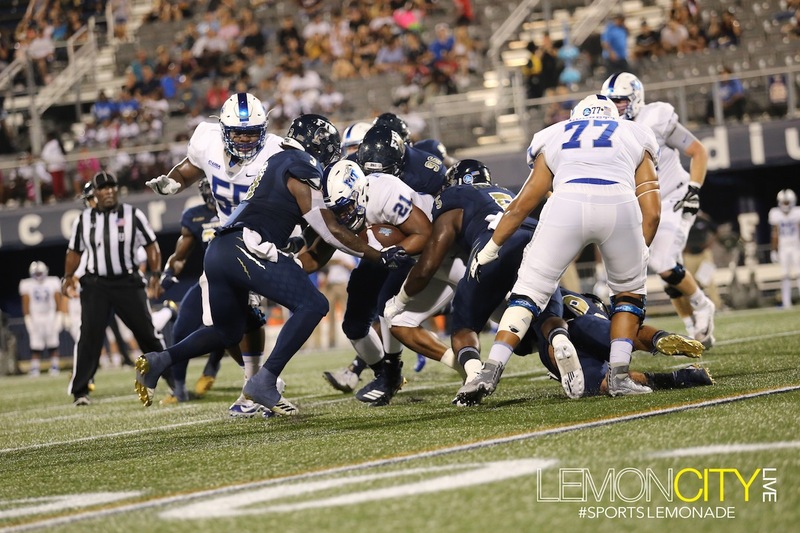 After converting on a 4th and 1 deep in FIU territory, Middle Tennessee scored with 9:06 left in the second quarter behind a seven-yard rush by Tavares Thomas. Late in the half, Panthers quarterback James Morgan countered with a 26-yard pass to Shemar Thornton, his first and only target of the night, to take a 10-7 lead. 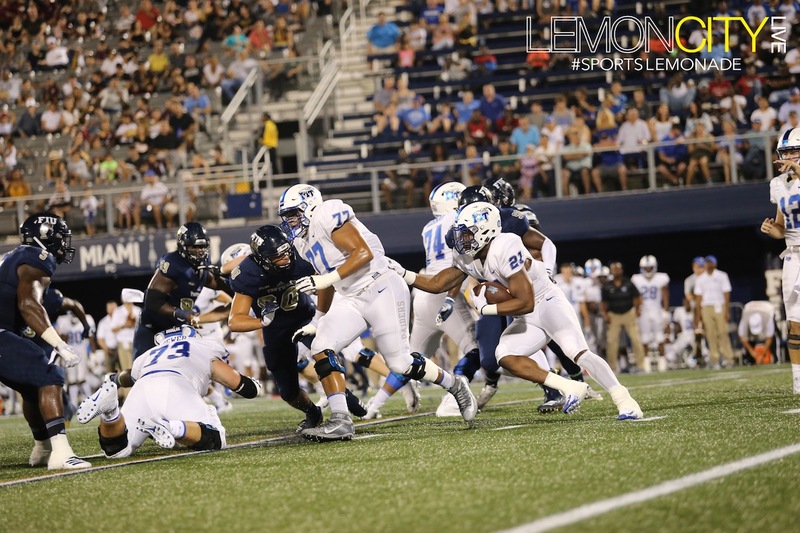 The advantage was short lived as the Blue Raiders responded on the following drive, marching down the field with the help of an ill-timed penalty (roughing the passer), placing Middle Tennessee on FIU’s 11-yard line. Quarterback Asher O’Hara showed off his legs with an 11-yard rushing TD to put his team ahead 14-10. 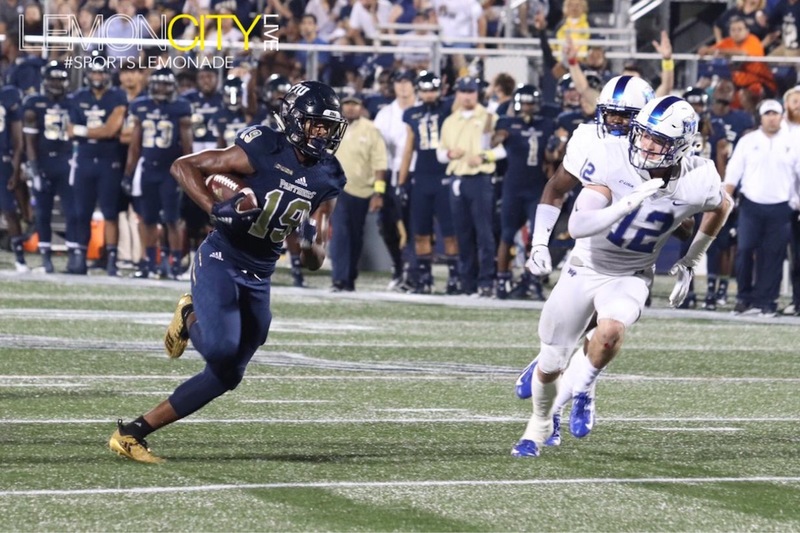 After starting from their own 29-yard line, FIU was given a favorable pass interference call creeping them into Middle Tennessee territory on their 49 with :08 to go. The offense clawed their way to the 36, setting up for a long 53-yard field goal. The kick wasn’t just accurate, Borregales sent it straight into the first row of the student’s section showing off some awesome leg strength. It proved to be a brand spanking new school record. Chelsea FC called, they’re hiring. He finished the night nailing three of four field goal attempts, missing a 49-yard kick that dinged off the post. The pendulum swung back in Middle Tennessee’s favor as they achieved the lone score of the third quarter, thanks to Thomas Tavares rushing for two yards to make it 21-13. 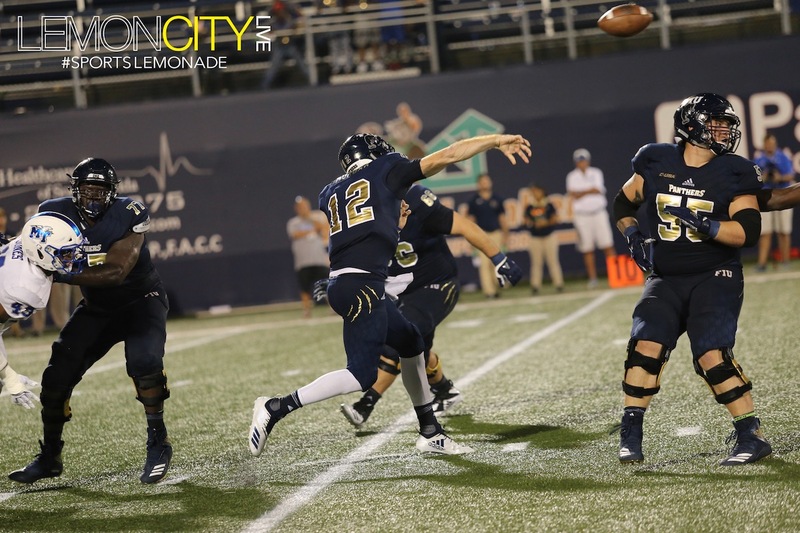 If there is one thing FIU is known for, it’s their ability to absolutely shut down opposing offenses in the fourth quarter. 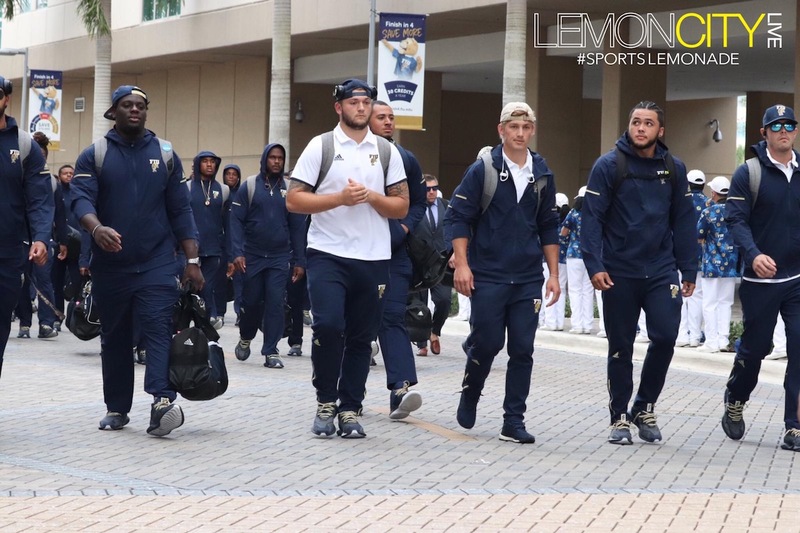 In fact, the defense hasn’t yielded a touchdown in the fourth since last year’s bowl game. And they’re not the only ones impressing, the offense has outscored opponents this year 31-6 in the final period. The Panthers kept up the magic as Morgan led the team downfield, culminating in a 23-yard pass to CJ Worton for the score. 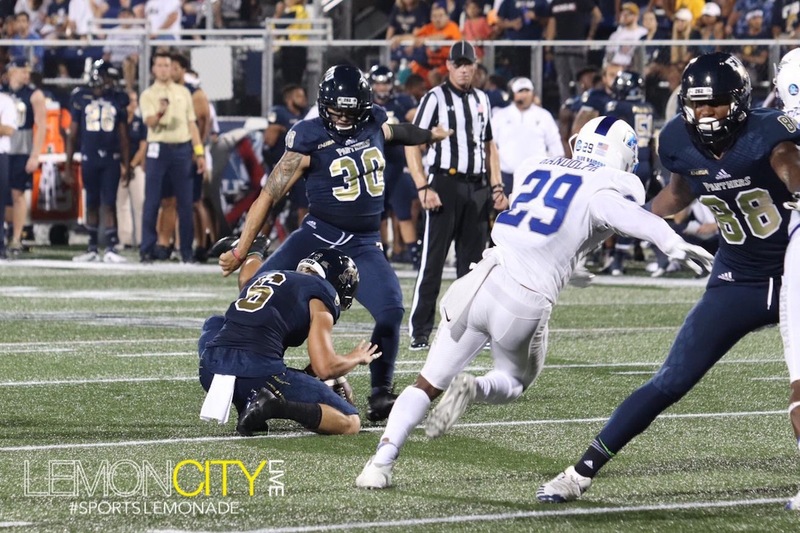 FIU converted on the two-point conversion on the handoff to Maurice Alexander, who quickly tossed it to wideout Tony Gaiter IV in the zone read option, putting the team up by three. And so begins the drama. Middle Tennesse began its final drive facing a 4th and 10 on FIU’s 43, going for it with 1:32 left. 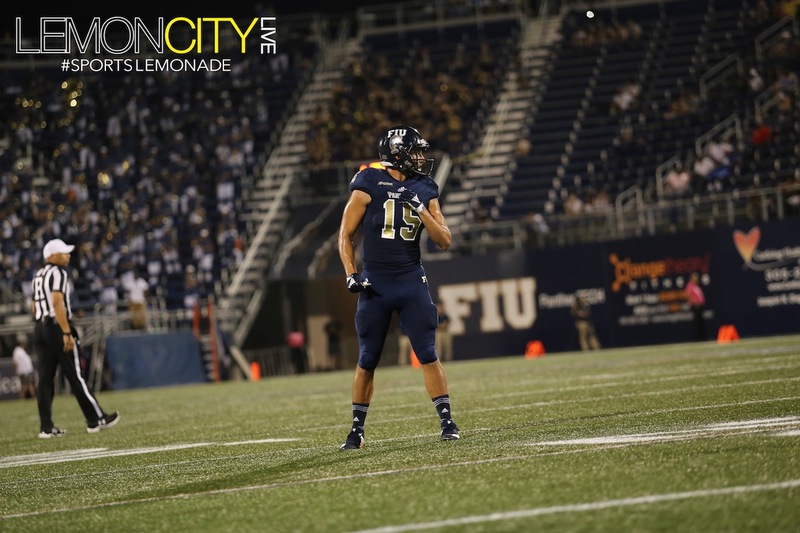 O’Hara connected with a crucial throw to Ty Lee putting them right on FIU’s 15. A shaky drop by Lee two plays later may have very well iced it, forcing fans to exhale. Then on the following play with less than a minute to go O’Hara aimed for the kill. He went straight for the end zone only to be picked off Olin “Odin” Cushion III, sticking a dagger into the Blue Raider’s hopes and ending their winning streak. A fitting end for the Panther’s homecoming game. Middle Tennessee leads the series 9-4 but don’t tell the fans that. Last time around, the Blue Raiders won handily 37-17 in Murfreesboro. Middle Tenessee went in on a two-game winning streak after squeaking by FAU and defeating Marshall, both C-USA rivals. 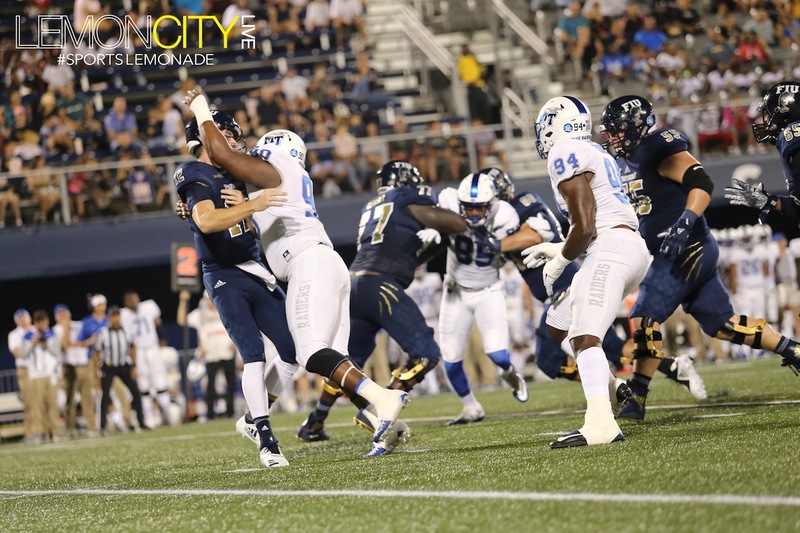 The Blue Raiders head back home to host Charlotte for their own homecoming while FIU rolls out the welcome mat against Rice, wrapping up a 3-game homestand. 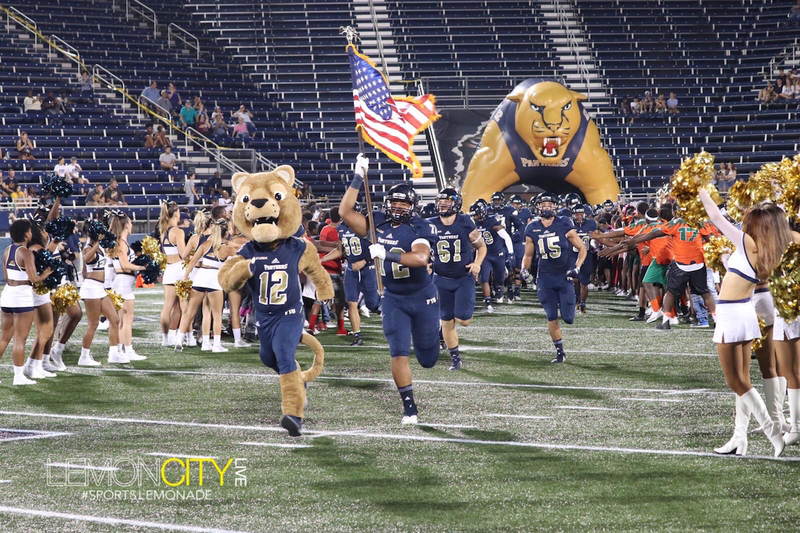 FIU’s run game was fairly quiet, collecting only 70 yards on the ground. The passing attack was much more effective, accumulating 311 yards in the air. James Morgan now has 14 touchdown passes, the most TDs ever by a Panthers QB through six games.